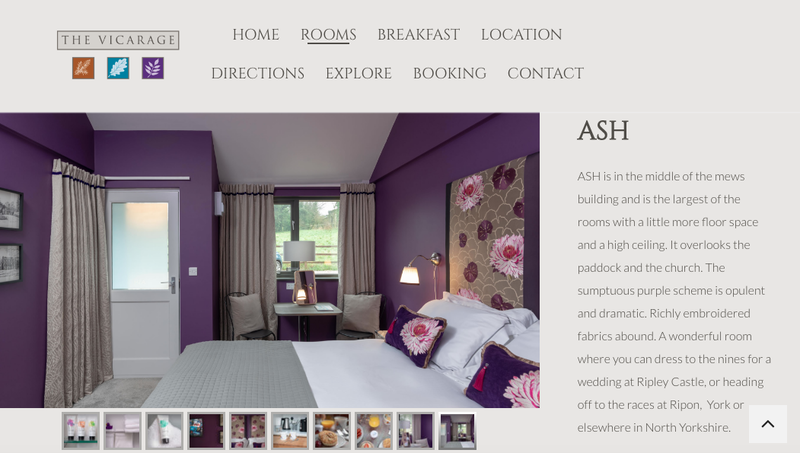 Do the images on your website accurately reflect your hotel? The joys and pitfalls of using filters, image styling and more. Recently on The Hotels Network Twitter account we came across an update from The Vicarage B&B Harrogate. The tweet shared some guest feedback saying that it was the most-heard comment from customers in the last week. 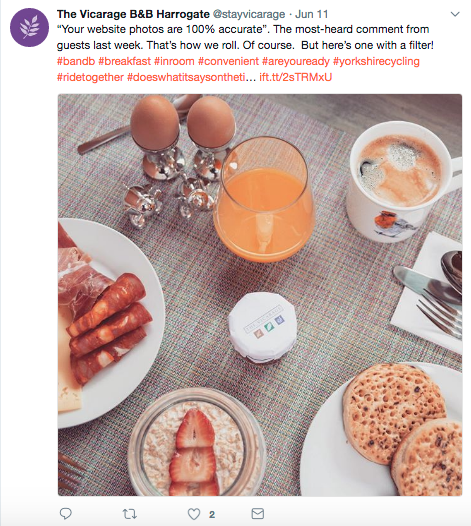 “Your website photos are 100% accurate” was the feedback followed by the small hotel saying “That’s how we roll of course” and a photo of a stellar looking English breakfast. In this photo, they were using a filter however (which we’re clearly told about), but it’s barely visible and only used to enhance the picture in the right way. While The Vicarage B&B Harrogate is clearly winning with its photos and receiving positive feedback for images that accurately represent and reflect the hotel, that’s certainly not the case with everyone. 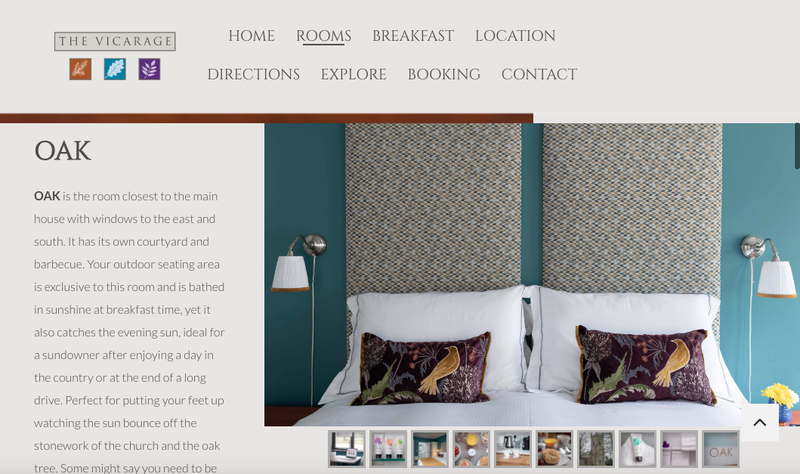 Unfortunately, over filtering, over styling and doctoring images is common place in the hospitality industry, with inaccurate photos filtering their way into marketing materials, on social media accounts and more. 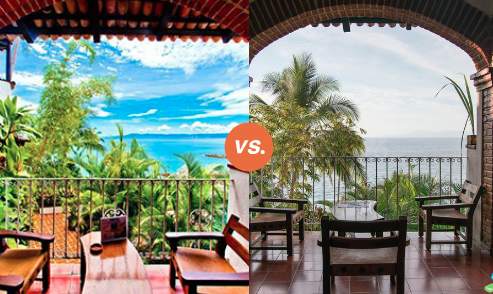 While a lot of Oyster’s comparisons are on the extreme end (with buildings cropped from photos, plunge pools elongated to look like lap pools — you get the gist and check out a whole host of examples here), some were noticeably less obvious. 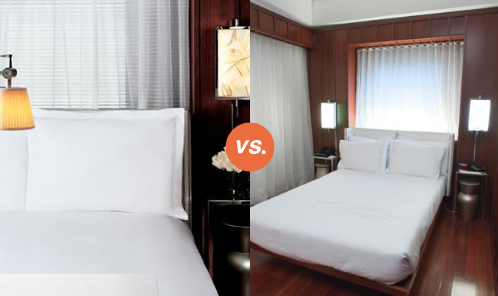 While there is nothing too drastically wrong between these photos, the personal touches seen in the hotel website / marketing pic on the left, are not there in the real photo on the right — making the room look far less welcoming. If you are going to include nice touches (e.g. plants, flowers, fruit bowls or whatever) in your photos then best to make sure they are actually there when guests are too. It’s those homely personal touches that go a long way. Here we have another example but instead of styling we’re looking at filters. 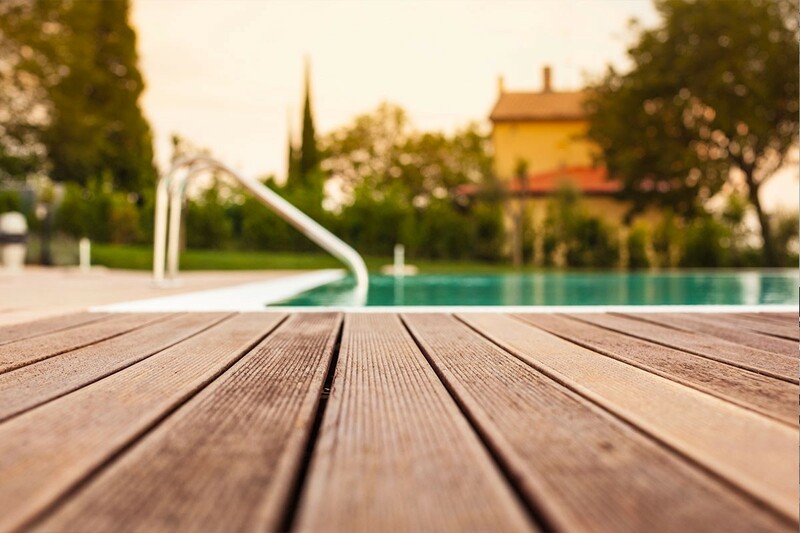 The over use of filters (particularly on social media) can set you up for a disappointed guest. It’s best to manage expectations from the beginning with realistic photos than to go all out with the technicolor effects to lure people in. 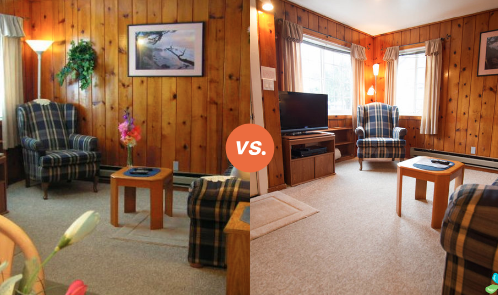 Another final one to watch is trying to make rooms look a lot more spacious than they really are. 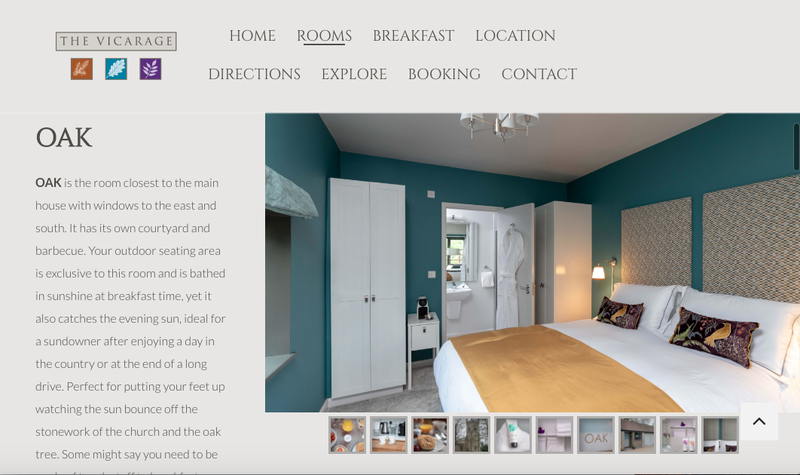 If you are going to use images like the below from The Vicarage B&B Harrogate, then make sure there are other images that clearly represent the size of the room. That way guests will know what to expect and will have booked the room with the knowledge that they won’t be receiving a huge amount of space. In this instance personalising the room can be really effective to make a small space seem more ‘cozy’ than small, and you should highlight other USP’s of the hotel or surrounding area to offset against the size of the room. Happy Friday all and keep up the good work The Vicarage B&B Harrogate!